“Comfort, Durability, Resistance, Warmth, Simplicity” are the key words of the Woolrich brand for the last 175 years. 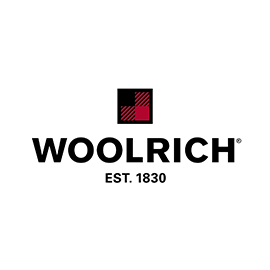 Woolrich is the outerwear leader in the United States, and is exclusively distributed in Europe by WP Lavori in Corso. Since 1830 Woolrich has dealt with OUTDOOR clothing, the cradle of American sportswear, and modern synthesis of the icons of worlds in which the way of dressing in the past was enstablished. From the world of “work-wear”, born out of the need for shelter from various climates , and out of the American agricultural use at first and industrial use later on, to the functionality of hunting and fishing garments, up to military uniforms, Woolrich has always been the expression of America itself.